HTC unveiled the much-awaited flagship device under a new name called HTC 10. HTC 10 get design language where bold contours are carved out of solid metal. The front side is full of glass which is merging seamlessly into the metal body. HTC 10 has 5.2-inch Quad HD Super LCD 5 display with 2560 x 1440 pixels and 564 PPI, 2.2 GHz 64-bit Qualcomm Snapdragon 820 processor, 4GB RAM, 12 MP HTC UltraPixel 2 camera and 5 MP front camera. 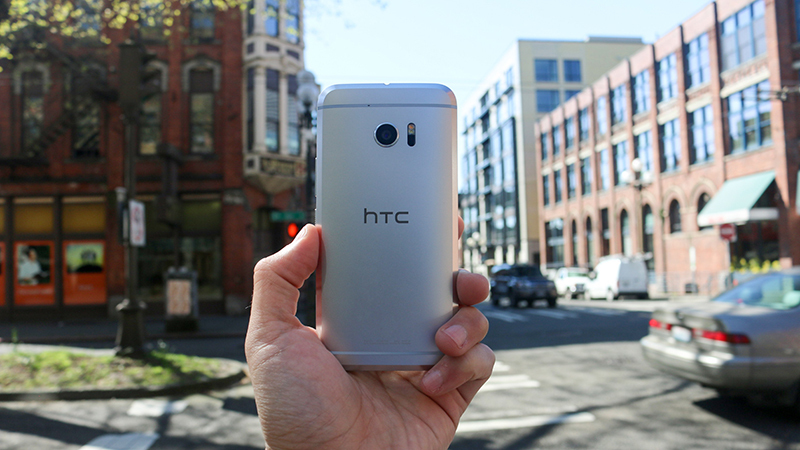 HTC bring back the improved version of its famous & my favorite HTC UltraPixel camera. HTC 10 gets 12 MP UltraPixel 2 (1.55um per pixel) Camera with f/1.8 aperture, Optical Image Stabilizer (OIS), laser autofocus, 4K video recording and RAW format support. HTC 10 also gets 4K Video recording with stereo 24-bit Hi-Res audio recording, capturing 256 times more detail than standard recordings, across twice the frequency range. HTC also reworked on HTC BoomSound speakers to deliver more powerful sound. The phone also comes with Hi-Res audio certified inbox earphones yet. Featuring an 8µm thin aerospace polymer diaphragm and 70% oversized drivers. HTC 10 box includes Hi-Res earphones & quick charge 3.0 Rapid Charger. 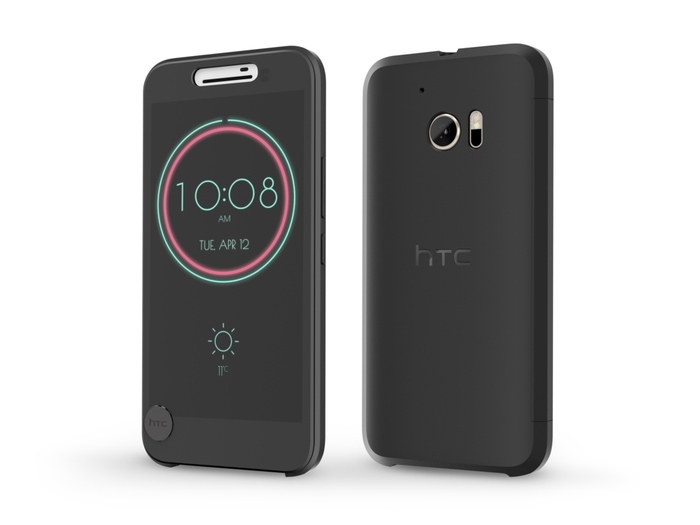 The HTC 10 offers an all-new Ice View case with a semi-transparent and highly versatile single front-cover case. 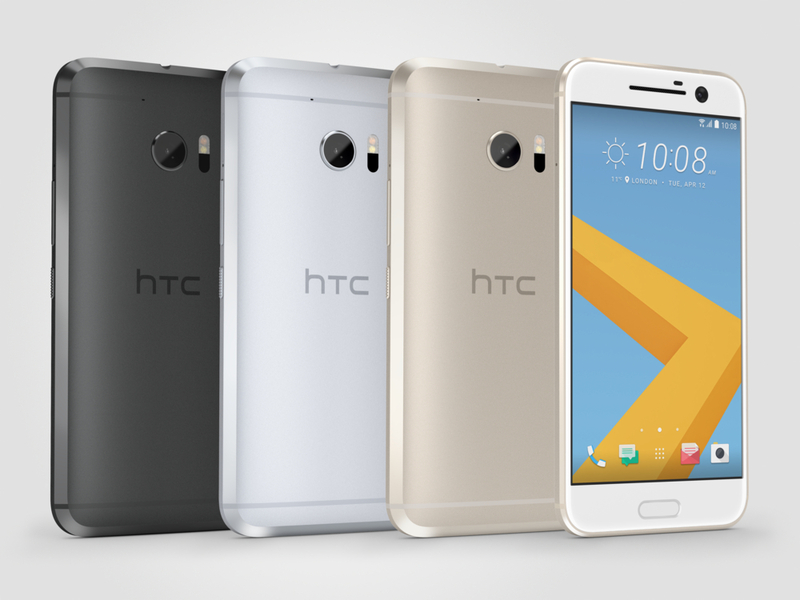 The HTC 10 will be available from April 2016 in four stunning color combinations: Carbon Grey, Glacier Silver, Topaz Gold and Camellia Red. It seems HTC is planning to launch degraded version of HTC 10 with Snapdragon 652 processor & 3GB RAM.